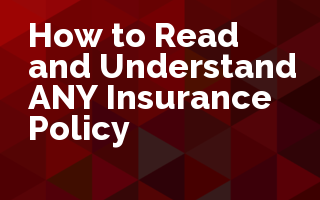 Learn the rules of reading insurance policies and why exclusions and exceptions exist. Insurance policy language, although required by many state laws to be "easy to understand," isn't always easy to understand. Sometimes the policy gives then takes away only to give back a little bit of what it took away later in the policy. It's no wonder our clients don't understand this stuff, we as insurance professionals don't always fully get it. However, there are a certain rules to reading an insurance policy - any insurance policy - that when applied correctly increase understanding and the ability to explain the provisions clearly.